As Vista’s Chairman and CEO, Mr. Smith directs Vista’s investment strategy and decisions, firm governance and investor relations. Vista currently manages equity capital commitments of over $14 billion and oversees a portfolio of over 20 software companies that employ a combined 22,000 employees worldwide. Since Vista’s founding in 2000, Mr. Smith has overseen over 140 completed transactions by the firm. During that time, Vista has managed capital for hundreds of limited partners, including many prominent public, private and corporate pension plans, endowments, family offices, and high net worth individuals. The firm has consistently performed in the top measures of PE firms. 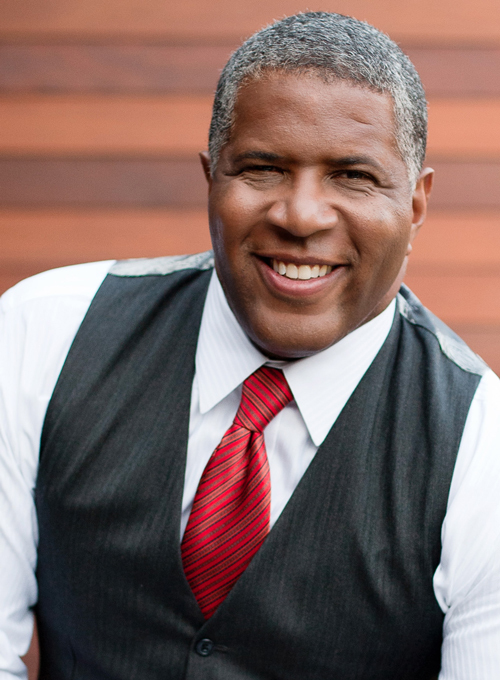 In 2012, Buyouts magazine awarded the firm’s Vista Equity Partners Fund III the Gold Medal as the top-performing 2007-Vintage Buyout Fund in the U.S. Under Robert Smith’s leadership, Vista has exclusively focused on the enterprise software, data and technology enabled solutions sectors. Mr. Smith currently serves on or participates on all the boards of Vista’s portfolio companies, including Misys, Active Network, and Omnitracs. Prior to founding Vista, Mr. Smith worked for Goldman Sachs, M&A, from 1994 to 2000, in New York and Silicon Valley. As Co-Head of Enterprise Systems and Storage, he executed and advised on over $50B in merger and acquisition activity with companies such as Apple, Microsoft, Texas Instruments, eBay and Yahoo. Mr. Smith has also been a leader in the philanthropic sector, serving as Chairman of the Robert F. Kennedy Center, as a Trustee of the Boys and Girls Clubs of San Francisco, a Member of the Cornell Engineering College Council, and. Mr. Smith is a Board Member of Carnegie Hall. Hear from experts who have massive amounts of capital at work on both the private and public side. Register Before Early Bird Ends. Seating is limited. If you plan on sending more people, please contact events@swfinstitute.org for more options. For information regarding the program, please contact Carl Linaburg at clinaburg@swfi.com.